Guilford Greys - "Greys" or "Grays"? As you visit this site you will notice the spelling of the word "Greys" will alternate for no apparent reason. When using a quote, the spelling employed by the author of the quote is the one we used in that text. 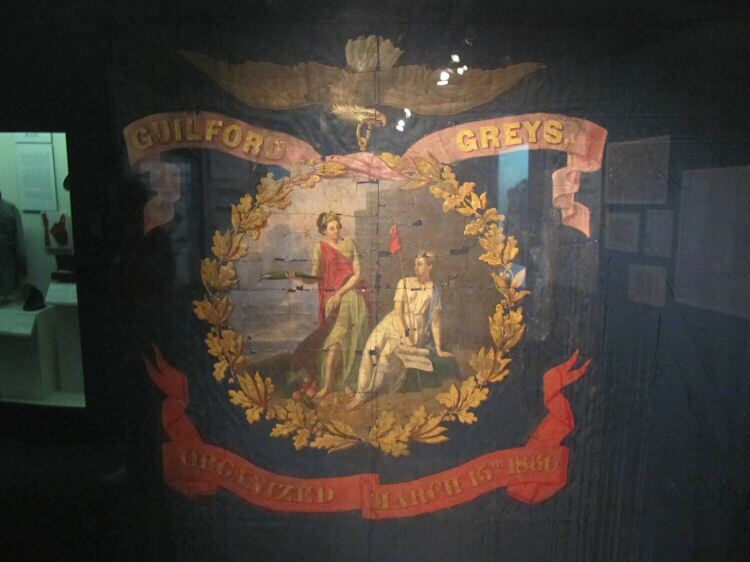 For ourselves, we have chosen to use the spelling "Greys" in our official company designation, as that is the way it is spelled on the company flag presented to the Guilford Greys by the ladies of the Edgeworth Female Academy in Greensboro, North Carolina, on May 5, 1860. This flag survived the War and is now in the possession of the Museum of the Confederacy in Richmond, Virginia. It was given to the Museum in 1896 by the wife of Captain John A. Sloan of the Guilford Greys, one of the only 13 remaining men in the company who surrendered at Appomattox. The Museum restored the flag in 1998.